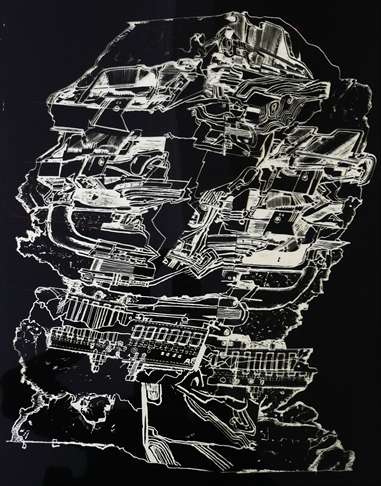 Description Acetate used to create the print 'Landscape I', showing a head made of collaged elements. This is a 'negative' image made from the original Paolozzi collage/drawing. Some areas on reverse have been touched up with photo-opaque paint. Inscriptions No inscriptions or markings.